The latest set of rules introduced by the FCA come in response to its extensive asset management study which raised concerns about fund fees. 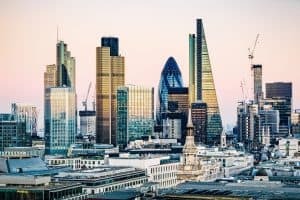 The UK’s financial watchdog has moved forward with plans to assert further disclosure on fund performance and objectives through a set of new rules and guidelines for asset managers. Focusing on the use of benchmarks, the Financial Conduct Authority’s (FCA) latest guidelines have been drawn up in a bid to increase transparency for investors on how their money is being managed. UK asset managers will have to describe fund objectives and performance, including detailed explanations on why and how benchmarks are used to help investors assess the performance of a fund. Fund managers must also reference benchmarks consistently in official documents and clearly present performance against each benchmark. The FCA has moved to introduce measures to increase transparency on costs and fees in response to its extensive asset management market study published in June 2017. The study argued that the industry in the UK suffers from weak price competition, with some asset managers earning persistently high-levels of profit at the expense of investors. Other rules implemented by the FCA have so far included annual ‘value for money’ assessments on costs and charges, requiring asset managers to examine the value of funds against a ‘non-exhaustive’ list of elements outlined by the regulator, as well as increased scrutiny on the governance of fund boards, and a proposed ‘all-in-fee’. The latest rules and guidance on disclosing information on the use of benchmarks are due to be enforced on 7 May for new funds and 7 August for existing funds, the FCA said.